For you fashion forward ladies, we have got the perfect collection for you, full of bold colours and pretty patterns you won’t go wrong with Woodblock Floral. We have put together some of the key staples in this collection that will ensure your wardrobe stays stylish this season. 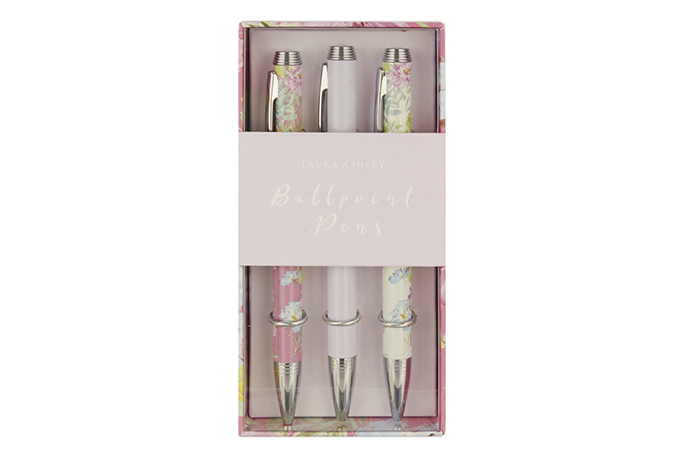 It is a stylish end-of-summer collection centred around the pretty woodblock-inspired bird and floral prints. Perfect for smart/casual day wear, here you’ll find a colour palette of washed indigos offset against vibrant lime and jade, accented with flashes of crisp white and turquoise. Feminine tunic dresses, embroidered cotton shirts and lightweight printed scarves are key to this look, while must-have pieces include our floral dresses and roll hem jeans. 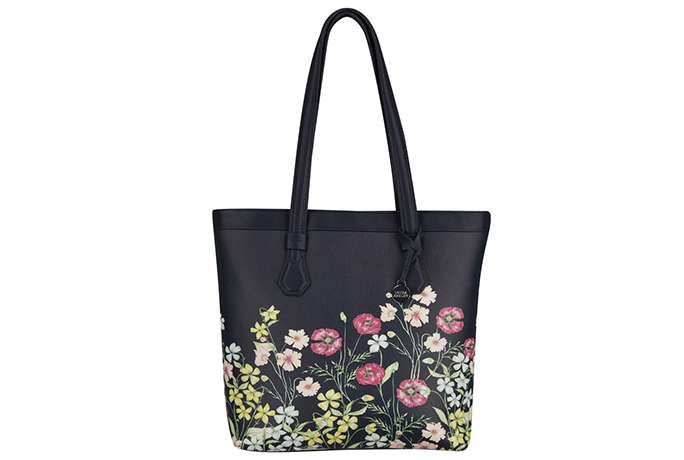 This double handle shopper is the perfect daytime bag for carrying all your essentials in style. Boasting a lime green faux leather finish, it features a wing design with a skinny strap fastening and stud detailing. 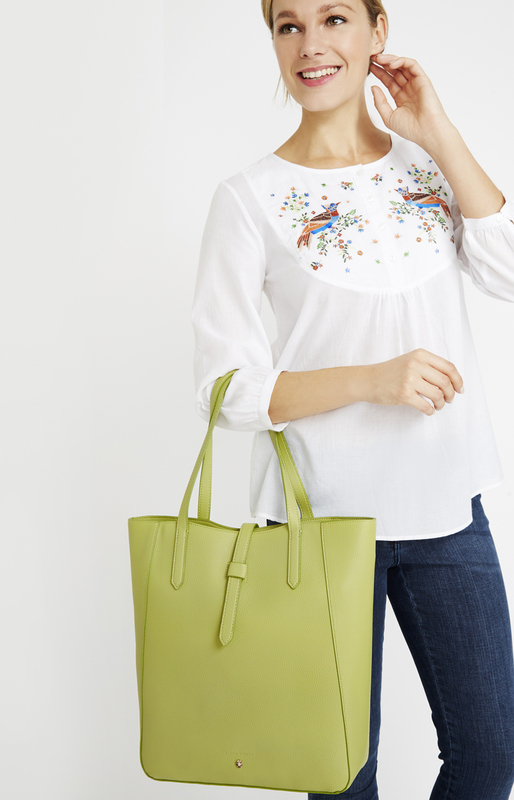 Paired beautifully with this stylish bib blouse in crisp white, which is given a splash of colour with an embroidered bib front depicting two birds nestled among flowers and foliage. A must have, everyday piece. A comfortable and stylish everyday dress, this floral print midi boasts a godet skirt panel, giving it a voluminous effect. With three-quarter length sleeves, button fastening and a waist belt to finish. 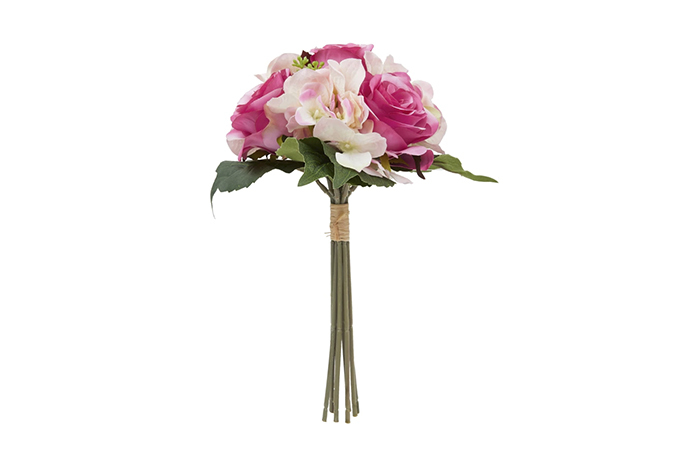 It will be the perfect go between for day to night dressing. Why not go for a bolder print with our Woodblock Floral wrap dress, ensuring you show off your lady like curves. 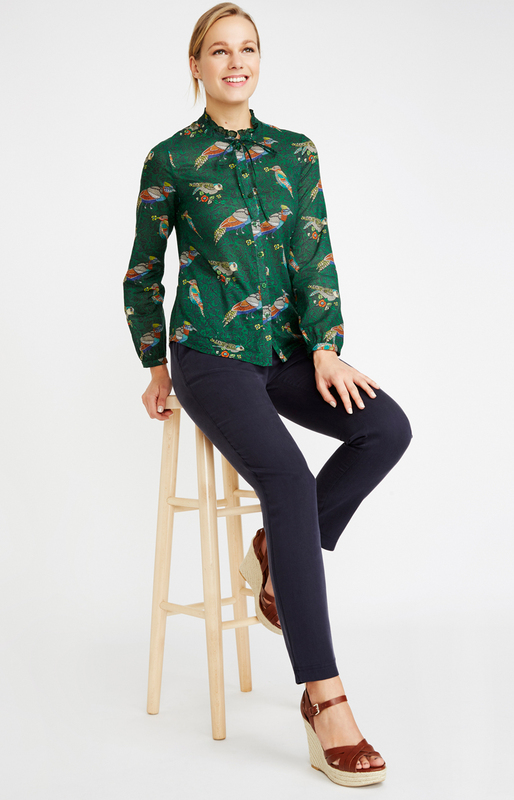 Pay homage to our feathered friends with this quirky green blouse emblazoned with our Enchanted Birdies illustration. This long sleeve design is finished with a frill neck. If this patterned top is a little too much for you then add a splash of colour with this pretty green woven top. This sleeveless design boasts ruffle detailing on the shoulders for a feminine finish. In a sunny shade of lemon, this stylish tunic is a must-have that will stand the test of time. Featuring a pintuck front, it is finished with pretty crochet detailing. A must have in your wardrobe is a flattering pair of indigo jeans featuring roll hem cuffs. Crafted from cotton with a touch of stretch, this slim leg pair is a stylish choice for dressing down days. Cut in a classic A-line shape, this denim skirt is a must-have for the new season. Featuring pockets and zip fastening on the reverse, it is finished with floral embroidery in shades of green and turquoise. If you are after a smarter look, then this chic utility-inspired pencil skirt is a welcome addition to any wardrobe. It features a D-ring belt, with pockets to complete the look. Accessorise your look with this striking short necklace featuring silver-tone hammered metal discs.